If your eCommerce website is accompanied by one or more physical stores, you can input their location details into your OpenCart system. This way, it will be easy for web users to learn where to find your store. You will open the Store Locations section where you will find all of the information about your physical stores. There are two main fields – Store Name and Address. 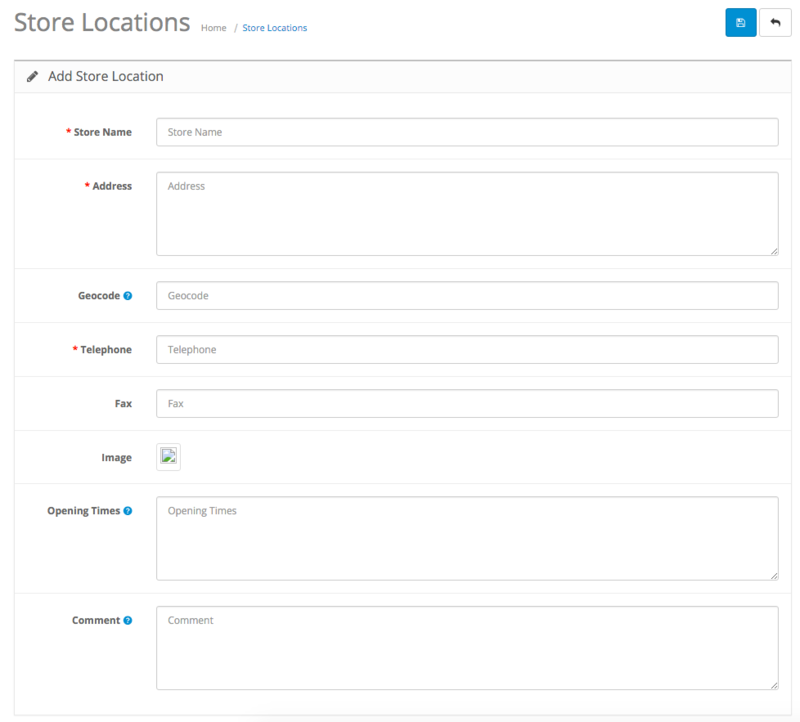 When you are done inputting the details about your store, it will appear in this section. You will have an option to Edit the information about a particular store. The next section will reveal all the empty fields you have to fill with the details about your physical store. The mandatory fields are Store Name, Address and Telephone. Geocode – this code uses the geographic coordinates of your address. For example, an address like 103 Integer Rd. Corona New Mexico 08219 will be turned into Latitude 34.249772 and Longitude -105.603535. Geocoding used to place your marker on the map. Fax – input your fax number if you have one. Image – place the image or logo of your store for easier recognition. Opening Times – list the opening and closing hours of your store. Scroll down to the bottom and you will see the field named Store Location. If you want the location to be visible in your Contact Us page, enable your location by clicking on the tick. The location is now active and will be visible in the Contact Us page of your OpenCart website. If you want to remove the details of a store, you can select it from the tick on the left hand side and click the Delete button in the top right corner.